It's fun for us to get involved in the design process when we can, and so when we were approached for some glass tile design expertise by contractor Mark Zimmerman of Desert Metropolitan, we grabbed our swatch cards and got to work! 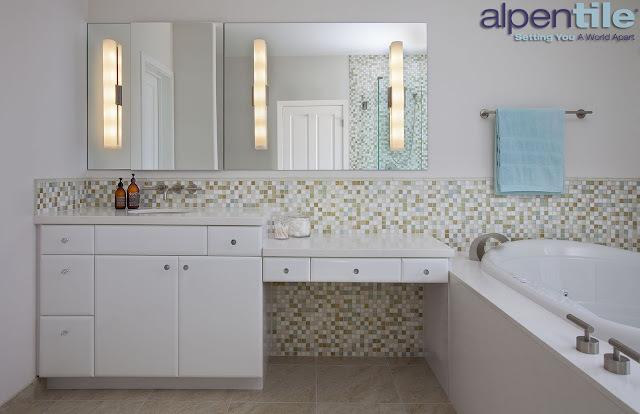 This light mosaic blend alongside large format porcelain and solid surface counters play on the extremes of scale, hitting her contemporary aesthetic. The color palette added warmth and shimmering handcrafted texture. a versatile color palette that can easily go warm or cool. Several design challenges, unique to contemporary design, were navigated by Luke Denny of Alpentile, and Mark Zimmerman, owner of Desert Metropolitan Construction. 1. A curbless shower was planned into the concrete slab pour, and at the same time, this slot drain placement was planned. 2. 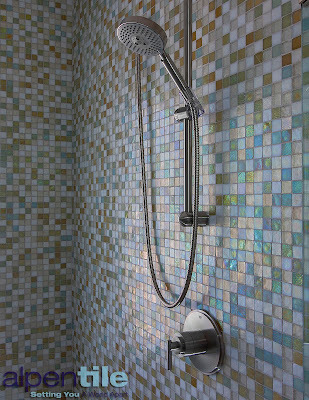 Curbless showers with slot drains are the new standard in high end shower design. 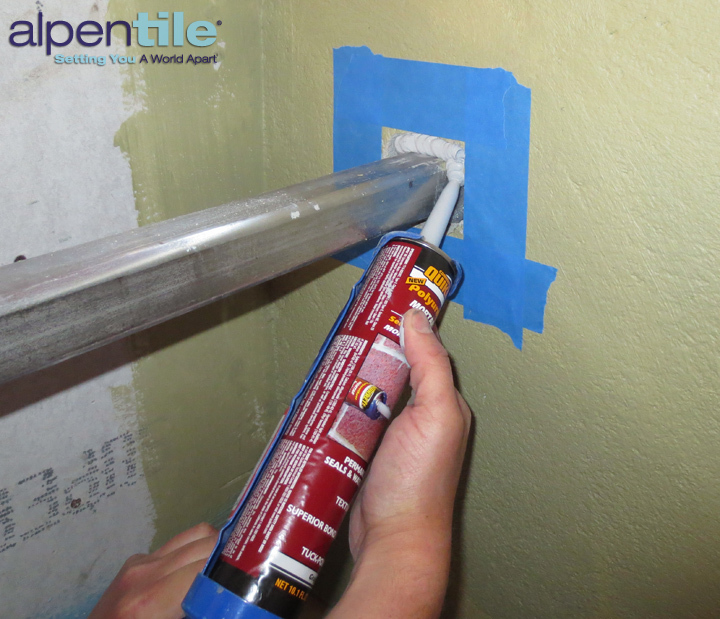 When planning your project budget, keep in mind that these drains are more costly than standard drains, and the labor required to install them, and tile them in, is also more intensive than a typical drain. 4. This glass block window was specified to address utilitarian and safety concerns. 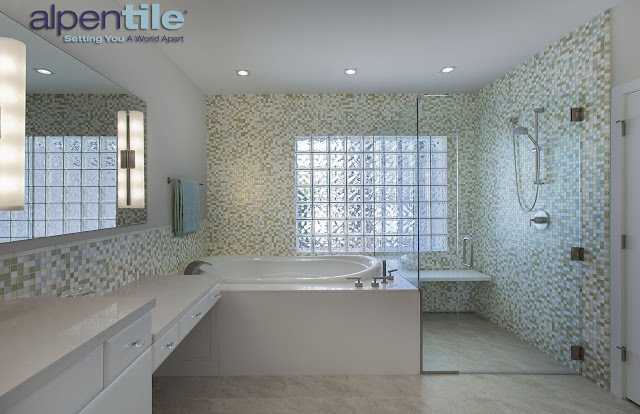 Zimmerman wanted a perfectly flat wall, with no reveal from tile to block. Again, this detail was planned during the framing stage so the block installer would leave enough space for our floated mortar bed and the thickness of tile. 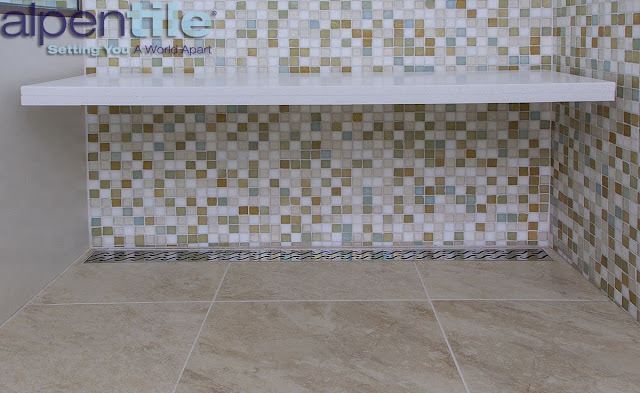 The result, this tiled feature wall is perfectly flat, full tile, and no need for trim. 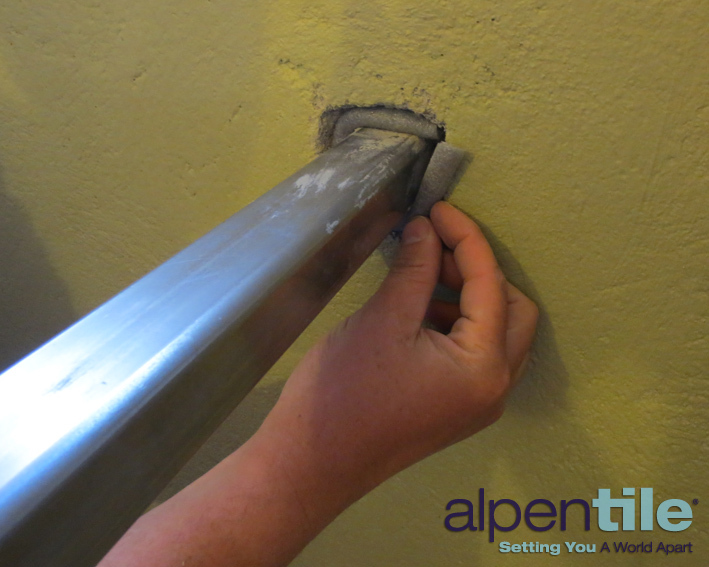 They require extra communication between each trade so all parties work towards a common end. process and deliver finished product like this bathroom.